It is easy within calm surroundings to imagine events of action and high drama but I believe near impossible for a writer to clearly imagine calm and tranquillity when surrounded by bustle and noise. 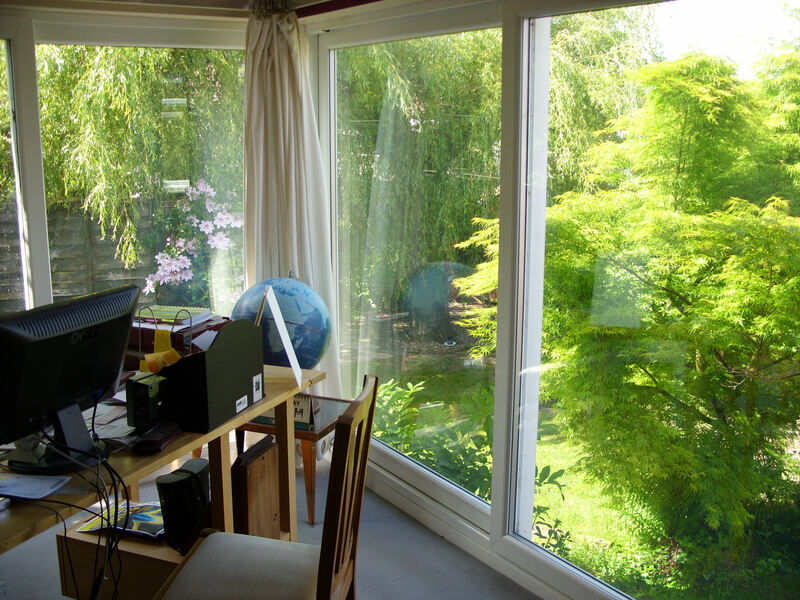 At least that has been my experience and I am very fortunate in having a garden office in which to imagine the calms and the storms in the lives of my characters. In the leafy suburbs of the small Hampshire town of Fareham I have the added advantage of an area in which the ambient noise is also low to add to my idyllic working environment. My clear memories of a previous high stress career in a noisy environment, located on construction sites and later in a busy office in the city of London, my current situation feels like heaven. Yet in those other worlds of bustle and noise I still managed to concentrate on the job in hand and, especially on site, developed the ability to block out external noise almost completely. Having boasted of such an ability, at no time was I ever required to compose anything that would resemble calm and tranquillity, and to be honest doubt my ability to achieve such a task. and all the other sound effects that get written into a story to bring to life my books’ characters, are easy to recall. Now also peace and gentle calm are added to my list of experiences and available for use when that essential contrast is required amidst the action and high drama of a plot. For some I am sure the noise and bustle act as a stimulus to their work ethic, building the adrenaline pump that raises their game. To the most part I personally found the bustle a distraction, and the noise, when conscious of it, painful to the ears. As for the adrenaline rush, all that really gave me was high cholesterol leading eventually to a heart attack. No, it is the essential calm working environment for me and my imaginings. This entry was posted in Uncategorized and tagged Home office, Ideal working environment, Mind body and spirit, The source of the Vaughan thrillers on May 13, 2014 by Richard V Frankland.